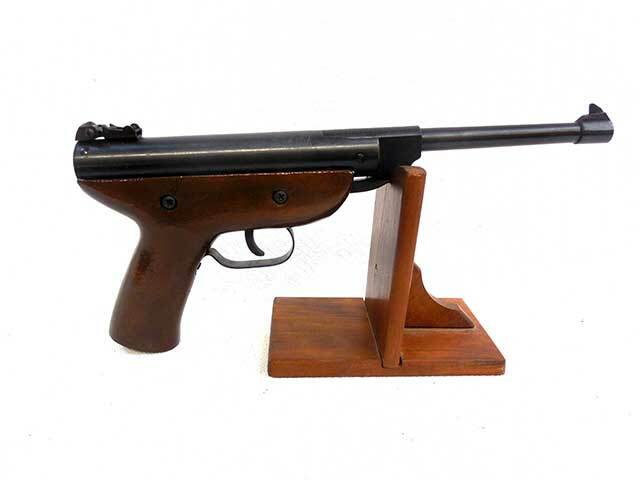 Break barrel, sprin-piston, single shot, .177 caliber. 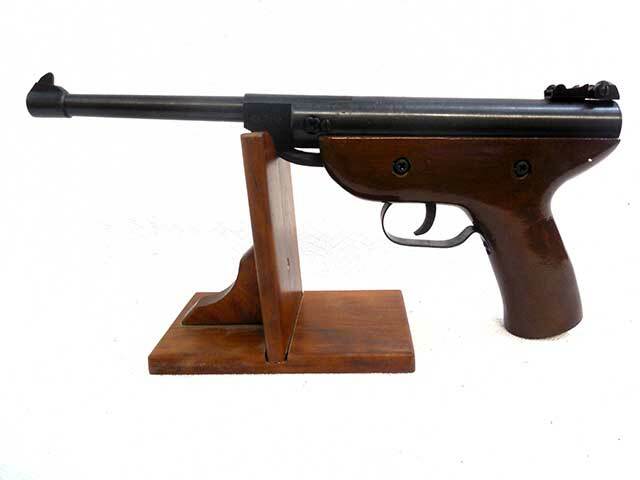 This gun has adjustable rear sights, and a wood grip in good condition. The metal retains about 90% of the original finish. The velocity was tested in our shop using lead pellets, and it’s shooting around 267 fps.